The Womens Airlite 20 SL Rucksack is a lightweight yet sturdy panel-loading daypack designed specifically for women. 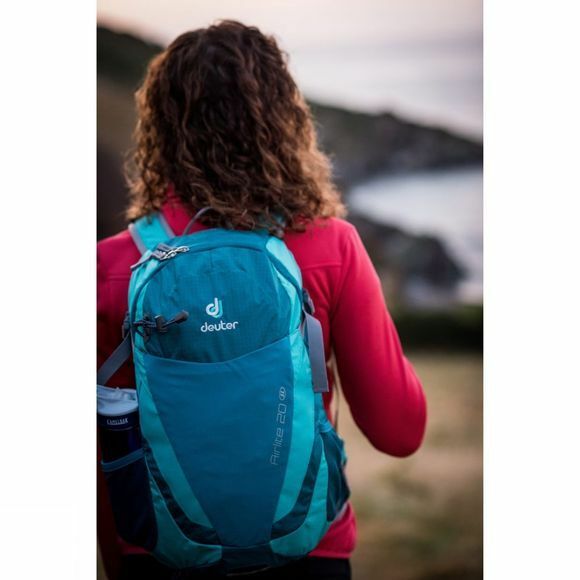 Deuter's Aircomfort FlexLite back system has anatomically formed shoulder straps with perforated foam and large-celled 3D AirMesh lining to make them airy. A twin-frame construction gives the system excellent flexibility and ergonomic fit that easily follows your body movements and transfers the load perfectly through the sturdy fins to your hips. 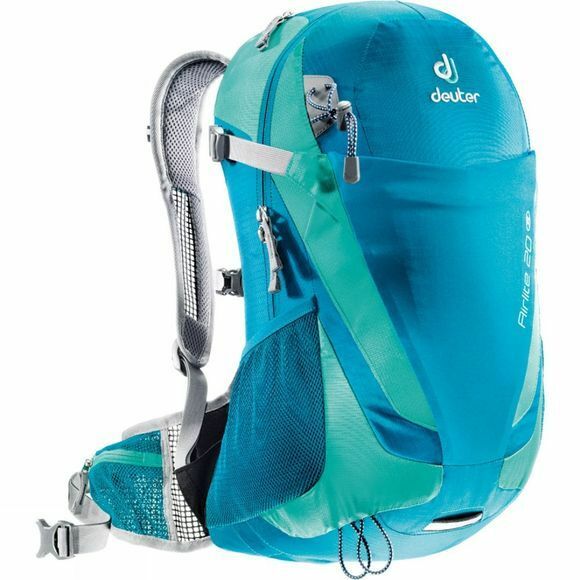 It also gives the back mesh a stable tensioned platform for the patented Deuter three-sided ventilation system. To give a perfect anatomic fit around the upper body, the SL women's fit uses narrower and shorter shoulder straps. Soft edges to the shoulder straps, smaller buckles and narrow tapered strap ends prevent the straps from chafing under the arms and eliminate pressure points in the chest area.